The variety and magnitude of green tea health benefits are stunning. Find out what makes green tea so amazing for health and learn how you can optimize green tea’s health benefits yourself. To obtain the health benefits of green tea you can either drink at least 3 cups of green tea per day or take a supplement that contains green tea extract. Green tea health benefits have been known for thousands of years, at least since 1211 when the Japanese Zen priest, Yeisai, published the book Tea and Health Promotion, in which he described green tea’s medicinal eﬀects. Discovered in China about 5,000 years ago, green tea was then brought to Japan from China by Buddhist priests. Today, scientiﬁc evidence indicates that green tea is indeed beneﬁcial to health. In fact, there has been an explosion of green tea research around the world, and scientists are continuing to discover new health benefits of green tea on a regular basis. What Is Green Tea and Why Is It Special? Green tea, black tea, and oolong tea all come from the leaves of the Camellia sinensis plant, but green tea provides the most significant health benefits. The difference between the three teas is in how they are processed during manufacturing. To make green tea, freshly harvested leaves are immediately steamed to stabilize the tea, preventing fermentation and the breakdown of the color pigments. The fresh steamed leaves then maintain their green color as they are rolled and dried. Not only do these processes keep the tea leaves green, they preserve green tea’s polyphenols (natural chemicals with health-promoting properties) and especially its catechins. Green tea catechins are transformed into different phytochemicals (with different biological activities) when tea leaves are fermented to oolong and then to black tea. The health promoting effects of green tea are mainly attributed to its catechins. Catechins are a subcategory of flavonoids, which are a subcategory of polyphenols. There are four catechins in green tea—epicatechin, epigallocatechin, epicatechin-3-gallate, and epigallocatechin gallate (EGCG). Of these four, EGCG is especially abundant, potent, and beneficial to health. EGCG has been found to influence how different genes get expressed and to have potent anti-inflammatory, anti-cancer, and antioxidant effects. To obtain the health benefits of green tea, you can drink at least three cups of per day or take a supplement that contains green tea extract. Some supplements contain green tea powder, which is not an extract and is unlikely to have much effect unless you take very large doses. Instead, look for an extract that concentrates the catechins. Pure EGCG is available in addition to various green tea extracts that contain a standardized amount of EGCG along with other green tea catechins. 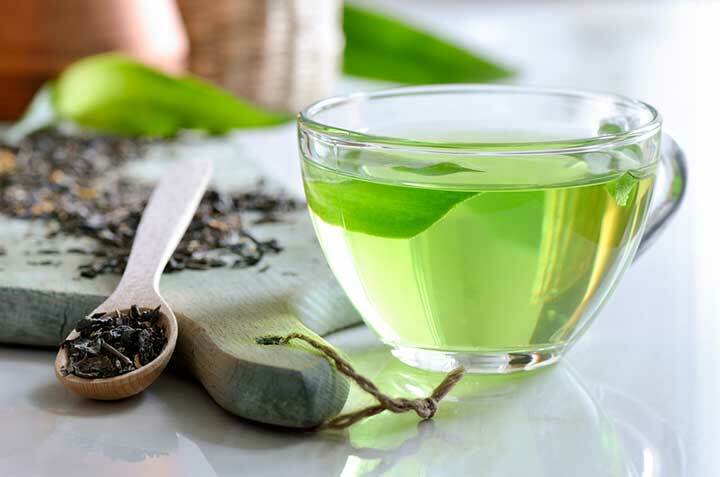 However, some researchers believe it is best to take a green tea extract rather than pure EGCG since pure EGCG is known to be an unstable compound and because the other components found in the green tea likely add to its therapeutic effect. 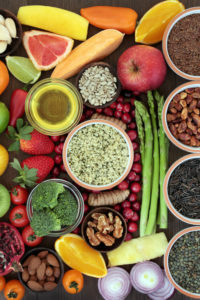 At this time, it is unknown as to whether there is a specific type, brand, or dose of green tea extract that’s best But based on available evidence, a green tea extract standardized to between 80 to 90 percent total catechins or to between 40 to 50 percent EGCG is recommended at a total daily dose of 400 to 800mg. With all these amazing health benefits of green tea, you would think the whole world would drink nothing else. But that is not the case. Many people just can’t seem to work it into their schedules. And certainly the sugar loaded variety of green tea found in bottled teas can do as much harm as good with all that extra sugar. So what do you do? Have you found a way to enjoy green tea, or is there a variety or brand that you especially enjoy? Please share your experience with other readers so we can encourage each other to better health! ProcJpnAcadSer B PhysBiol Sci. 2012 March 9; 88(3): 88–101. Chin Med. 2010; 5: 13. Int J Womens Health. 2013; 5: 477–486. Nutr J. 2013 Jun 18;12:84.
add, age related cognitive decline, aging, alzheimer, anti inflammatory, antioxidant, benefits of green tea, black tea, blood pressure, cancer, cardiovascular, cardiovascular disease, cholesterol, cognitive decline, depression, detoxification, diabetes, energy boosting, energy boosting foods, green tea, green tea for weight loss, green tea health benefits, health, healthy beverages, how to use matcha, how to use matcha powder, ldl, ldl cholesterol, lower ldl, lower ldl cholesterol, matcha, matcha tea, matcha tea benefits, metabolic syndrome, obesity, polyphenols, skin, sugar, supplement, supplements, types of cancer, uterine, uterine fibroids, virus, women's health, womens health. I love green tea and find its taste very refreshing and satisfying. I make a freshly brewed pot of green tea in the morning and then pour that over ice throughout the day. For me, it works as a great energizer without the sugar spike that sodas deliver. My morning brew of tea comes from two different green teas – one teabag of Madura Green Tea and Papaya Leaf (http://www.maduratea.com.au/) and one tea ball filled about 1/3rd with the China Gunpowder organic green tea which comes from http://www.teafountain.com. There are many other varieties available, but I’ve found this combination gives me the wonderful flavor that causes me to want to drink it every day. And these health benefits are a great bonus. This is a great idea, Tom. I’m going to try it and pass the idea along to others. Thanks! I love green tea. It is loaded with plenty of health benefits. It possesses several nutrients and some active molecules that shows excellent pharmacological significance. I have gone through an article entitled “ 10 Benefits of Green Tea That Everyone Should Know” at zovon.